One of the most amazing rikishi over these past 20 years. attacks, slaps to the face, nodowa, and slaps down. 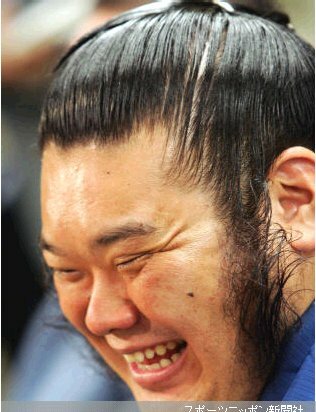 Tôki will remain for ever in sumo History. LATEST NEWS : CHECK OUT INFORMATIONS ON TOKI'S DANPATSU-SHIKI EVENT !!! "Touki has announced his retirement today, citing his injuries as a the reason." reported by Kintamayama, 2006, May, 5th at 11:54AM CET in sumoforum.net. "Bad condition of the back makes him unable to do sumo so intai was decided" said Takasago-oyakata. He will stay at Takasago with jun-toshiyori status. There will be a press conference on shonichi where possible tears are shed and thank yous uttered." reported by Kaikitsune Makoto, 2006, May, 5th at 9:36PM CET in sumoforum.net. "Touki held his intai press conference today. "Surprised I feel refreshed now after intai. 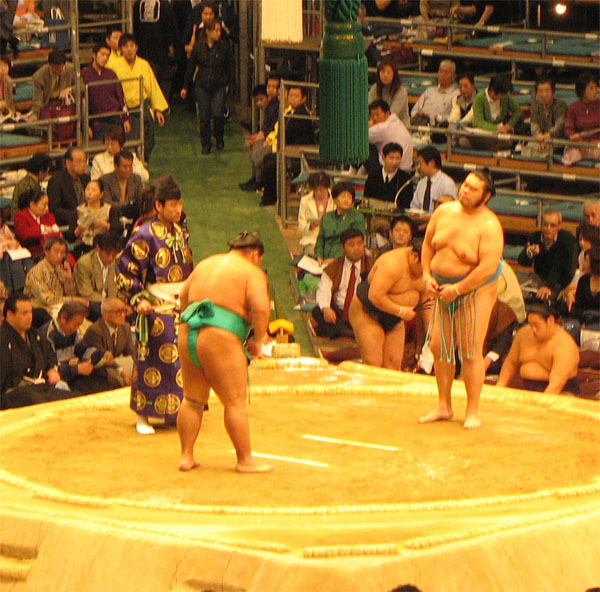 I planned on taking part in the basho but the condition of the hip was bad and I couldn't do any keiko. Hence also will to continue faded away. I have been blessed with many great people around me (including Mitoizumi and present oyakata) and to me it was a big thing to get promoted to sanyaku. From now on I will work on the young guys promoting them to do forward moving sumo without hataki/hiki" (and smiled then to that since his own tokuiwaza was exactly those)". reported by Kaikitsune Makoto, 2006, May, 7th at 10:56AM CET in sumoforum.net. Tôki vs. Daishodai (day 12), Tôki vs. Fukuzono (day 14), click to enlarge ! LATEST EVENT : CHECK OUT TOKI'S OWN BLOG !! !